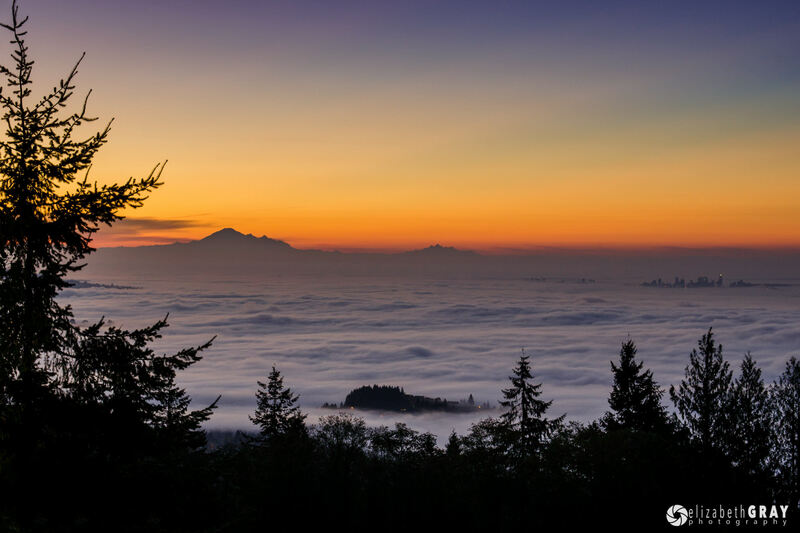 Directions: The Cypress Mountain Viewpoint is a 30-minute drive from downtown Vancouver. From Hwy 1 in West Vancouver, take exit 8 for Cypress Bowl Road towards the ski area. Follow the road up the mountain for approximately 10km. The viewpoint will be on your right. This is one of the best locations to get beautiful panoramic views of Vancouver and the Lower Mainland. On a clear day, you can see across Georgia Straight to Vancouver Island and southeast to Mount Baker in Washington State. The best time for photography here is at sunrise and sunset. However, you will need to get there early in order to find a place to set up your tripod. This spot is a favorite of photographers, and the best vantage points go quickly! I once arrived an hour before sunrise and met over a dozen photographers already set up! September and October can be magical if the weather forecast calls for fog. 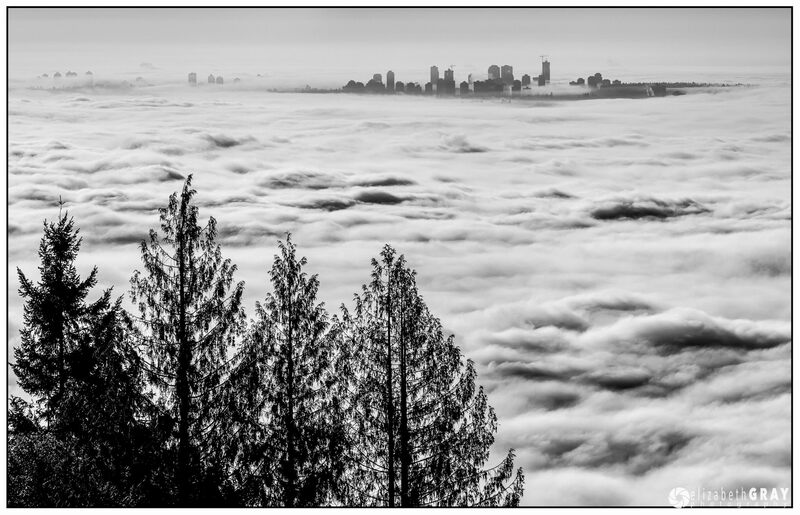 If you’re lucky, you may find the tops of Vancouver’s skyscrapers and the Lion’s Gate Bridge poking through the fog. Along with a wide-angle lens and a good tripod, bring a long lens for zooming into details of the city. Although the colors during the golden hours are beautiful, try some high contrast images in black and white. When the sun is low, consider taking some silhouettes. You can frame the city with trees in the foreground. Although large sweeping landscapes are popular from this location, don’t be afraid to zoom in on details. If you have a long enough lens, you can get the tops of the bridge, or close-ups of the downtown buildings.